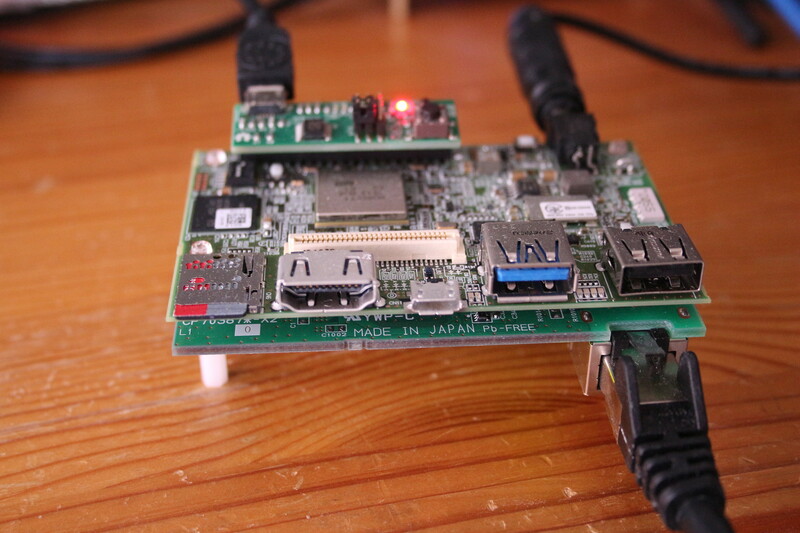 The Fujitsu F-Cue is a single-board computer in 96Boards Consumer Edition form factor, which is available in Japan, with an optional F-Cue Extension Board for Ethernet and PCIe. U-Boot v2017.05 does not contain support for this board or SoC. A Linaro 2013.02.2 based branch with the vendor's patch applied is provided here for convenience. Changes were needed to boot mainline kernels due to differing/missing DT nodes. A v3.10 based branch with the vendor's patch applied is provided here for convenience. Mainline kernel v4.11 does not contain a device tree for this SoC or board. This page was last modified on 23 July 2017, at 16:16.